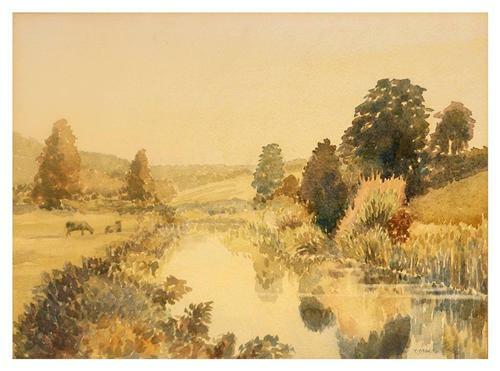 Lovely restful watercolour painted by an exceptionally competant hand circa 1920. The window mount has has a few skuffs over the years and will need replacing. Given the appropriate frame this painting will add an air of tranquillity to any room.